The advent of cloud computing and software-defined data center architectures for modern application delivery has made networking more sensitive than ever before. Applications in the digital age require networks that can expand and contract dynamically based on consumer demand. Enterprises are implementing software-defined networking (SDN) to deliver the automation required by these new environments, but the dynamic nature of SDN makes network management and monitoring fundamentally more challenging. Network infrastructure teams need monitoring tools that can provide visibility into these new and constantly changing networks. 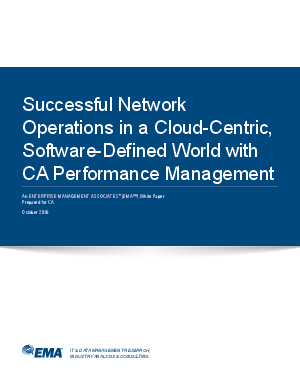 This white paper explores the importance of SDN monitoring and examines a leading example of a solution, CA Performance Management with CA Virtual Network Assurance integration.